ACMA's New Artist!!!! 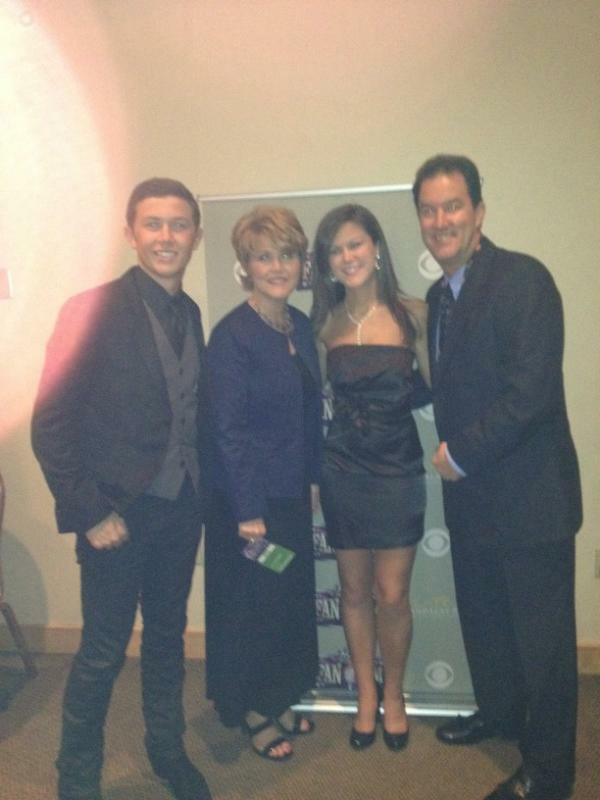 SCOTTY MCCREERY! WE DID IT!!!!!!! Scotty won ACMA'S new artist of the year!!!!!!!! 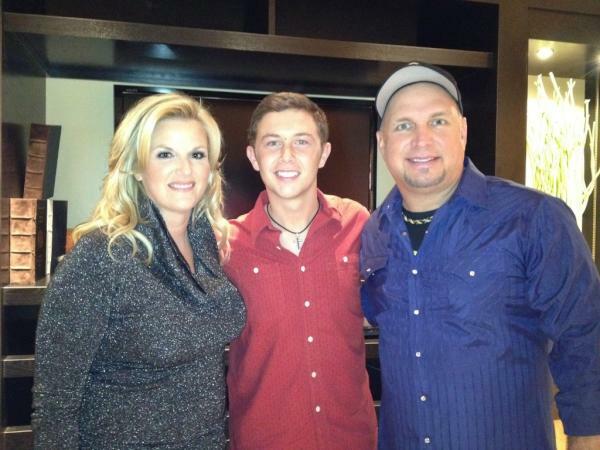 Congrats to Scotty! Hope to post pictures and video's soon!!!! Scotty McCreery talked to us about going back to American Idol to perform his new single. 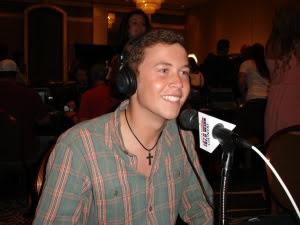 Scotty says he gave the Idol finalists the advice to just relax. Scotty talks about his performance on Freemont Street, saying the crowd was “as far as my eye could see.” Scotty’s also back in school and still a baseball pitcher. 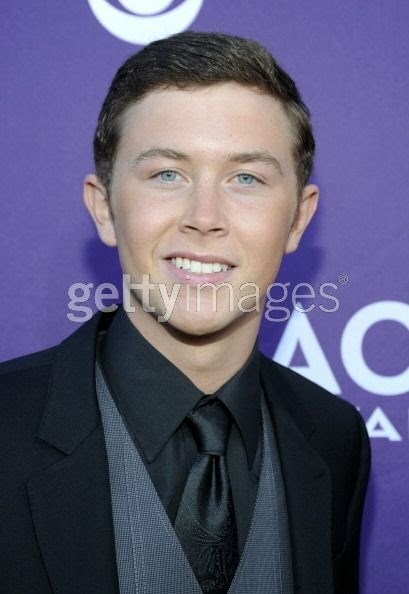 Scotty won American Idol last year and has had a lot of firsts in his life. His first single, “I Love You This Big”, got the country music audience introduced to him as a country music artist. His first ACM nomination as an artist happened at this years ACM’s. Steve got a chance to talk with Scotty and asked him about his first nomination at the years ACM’s. 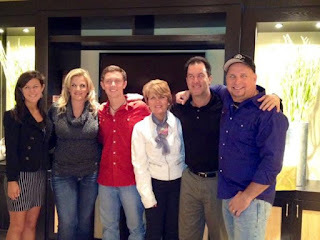 Thank you Karee for the Alert in the comments of Scotty singing Ttravis Tritt's song T.r.o.u.b.l,e,!!! 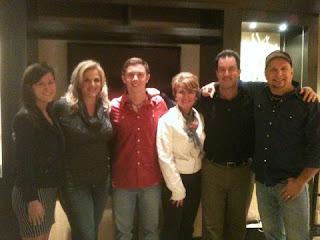 Hmmm, bigger thrill – winning American Idol or talking with Jeff and Bill. Tough Call. Here’s the full interview from the MGM Grand! The scene on Fremont Street in downtown Las Vegas is always a party. But the stops really got pulled out during the first of two free country music concerts Friday night. The drinks weren’t free, but the music was, and everyone there was having a blast. Dubbed the Fremont Street Experience, the concerts are part of the lead-up to the Academy of Country Music Awards Sunday night (8pm ET/PT on CBS). 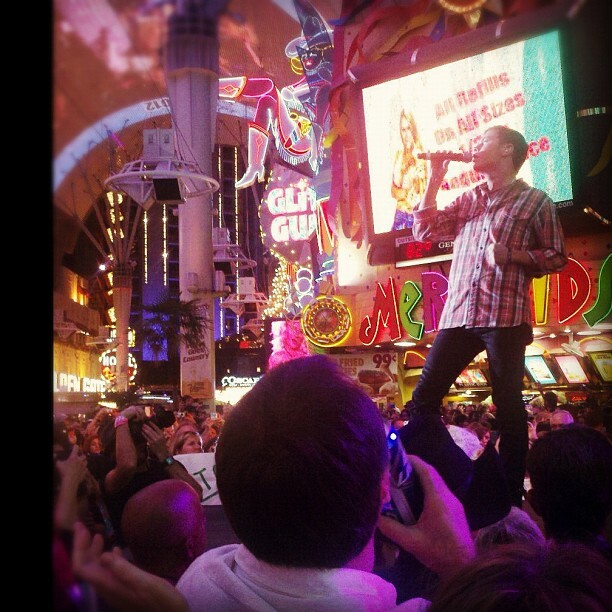 Two stages were set up right on Fremont Street right under the famous light-show canopy. Flanked on all sides by the flashing neon signs of famous downtown casinos like 4 Queens and Binion’s, artists Love and Theft, Hunter Hayes, Brantley Gilbert, Scotty McCreery, and Luke Bryan made some serious noise. And the crowd ate it right up. These were mixed in with ballads like his 2011 single “The Trouble With Girls,” which had the ladies up in arms (literally, arms were waving from balconies and throughout the jam-packed streets). 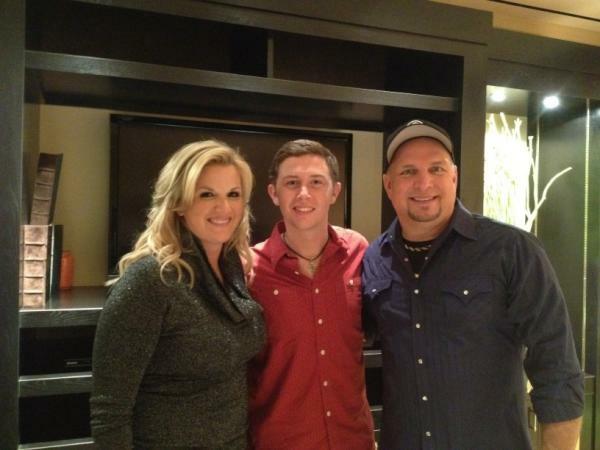 Another item to check off of the bucket list for the McCreery family! The four attended Garth Brooks and Trisha Yearwood's show tonight in Las Vegas and were able to meet the two after. Doesn't seem like that long ago Scotty was singing Garth Brooks' song 'The River' during Personal Idol week on American Idol! 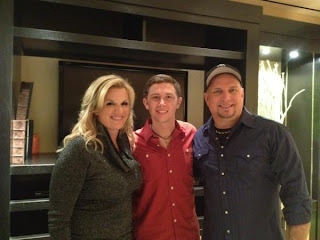 Made a family memory tonight at The Wynn...Scotty meeting the awesome Trisha Yearwood and the legendary Garth Brooks!